Phil Rennick has lived and worked in Townsville for over 25 years and has over 28 years involvement with the law. His qualifications include Bachelor of Laws, Former Barrister of the High Court of Australia, Solicitor of the Supreme Court of QLD and Solicitor of the High Court of Australia. Phil is and has been for over 10 years involved in Queensland University of Technology ‘s mentor program in two areas, Justice and Law. He also worked on developing legislation before it was introduced to Parliament and worked on legal issues relating to the high coverage extradition of Jayent Patel from the US. Phil has extensive experience in Criminal and Family Law and can apply his experiences and knowledge to any legal problems. He possesses a broad range of experience representing clients in the Magistrates Court, District Court, Supreme Court and Court of Appeal. He ensures that complex legal problems are explained in easy to understand terms to all our clients. His down to earth manner, and incredibly persuasive advocacy skills are widely recognised and respected by Judges and Magistrates.He has dealt with a wide range of Commonwealth and Queensland offences including murder/manslaughter, drug trafficking, robbery, arson, serious assaults, sexual offences, dishonesty offences and traffic matters. He represents clients in Crime and Corruption Commission hearings and Supreme Court Bail Applications. 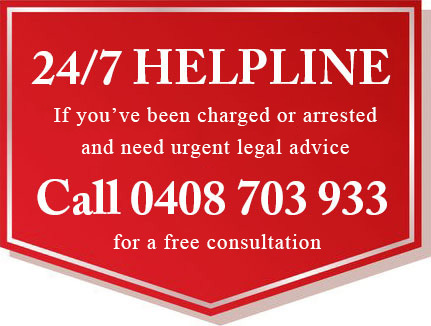 Phil appears at summary hearings, contested bail applications and sentences in the Magistrates Court on criminal matters and domestic violence protection order applications. Michelle Rennick is our Practice Manager. Michelle has extensive background in retail and management of over 20 years. Michelle is client focused and maintains the high standards of client care that Rennick Lawyers demands for their clients. Michelle is also a Justice of the Peace (Qualified) and therefore has a basic understanding of legal practices and is available to witness documents. She is an integral member of the operations of Rennick Lawyers and has great empathy for all our clients and is sensitive to their legal issues. Cassandra has been a part of the Rennick Lawyers team since October 2017. Cassandra was born and raised in Central Queensland and moved from Biloela to Townsville in 2013. In 2016 she completed her Bachelor of Laws (LL.B) at James Cook University. She then completed a Graduate Diploma of Legal Practice (GradDipLP) and a Certificate of Legal Business Skills at the College of Law, before being admitted as a lawyer of the Supreme Court of Queensland in August 2017. Cassandra is also a Solicitor of the High Court of Australia. Cassandra has experience in customer service, conveyancing, is a passionate researcher and has a particular interest in all areas of criminal law and justice, the legal process and advocacy. Cassandra is dedicated to providing a voice for clients who have the right to be heard. Cassandra assists and appears in the Magistrates Court and higher jurisdictions for several criminal matters, including bail applications and sentences. Victoria was born in Forster NSW and has lived in various cities and towns across Australia before settling in Townsville in 2013. She has completed her Bachelor of Laws (LL.B) at James Cook University and completed a Graduate Diploma of Legal Practice (GradDIPLP) at the College of Law. Victoria was admitted as a Solicitor of the Supreme Court of Queensland in December 2018 and is a Solicitor of the High Court of Australia. Victoria enjoys the creative arts and in 2014, she completed a Diploma of Commercial Arts of Graphic Design. She has also volunteered for the Salvation Army for over 13 years. Victoria joined the Rennick Lawyers team as a Paralegal in October 2016 and assists the firm in Criminal and Family Law Matters. Patrick is originally from Central Queensland and made the move to Townsville to pursue his university education. He has just completed his final year of Bachelor of Laws (LLB) at James Cook University and is preparing to graduate in March 2019. He enjoys all areas of legal practice but has a particular interest in both Criminal and Family Law. Patrick strives to provide exceptional service and is dedicated to forging close working relationships with clients. Merinda was born in South East Gippsland and has lived in North Queensland for over 11 years. She has just completed her final year of Bachelor of Laws (LLB) a James Cook University and is expecting to graduate with Honours in March 2019. Merinda has a keen interest in all areas of law and assists the firm in Family Law and Criminal Matters. Merinda spends her spare time on the sporting field and particularly enjoys snowboarding and playing touch football. Merinda is our firm’s newest member and joined the team as a Paralegal in October 2018. Before joining us, Merinda previously volunteered at the North Queensland Domestic Violence Resource Service and Townsville Community Legal Service Inc. where she was able to assist a diverse range of individuals from disadvantaged backgrounds. Rebecca was born and raised in Townsville. She then relocated to Brisbane where she lived there for almost 10 years before moving back to her hometown. Rebecca has worked as an Office Administrator and Personal Assistant to Phil Rennick for over three years. Rebecca comes from a real estate background, where she worked as a Senior Property Manager in Brisbane for almost 6 years. Rebecca assists with conveyancing, criminal law matters and general administrative duties. She is currently studying a Bachelor of Laws at James Cook University.